Hadi Al Khatib has worked with the Tactical Tech Collective since 2010, and has been facilitating digital security workshops in the MENA region, as well as writing and editing digital security materials in Arabic. He produced a radio program with Nasaem Syria Radio and also recently worked as a project leader in Gaziantep with No Peace Without Justice. From 2006 to 2010 he worked in the protection field with various international organisations in the Middle East, including MSF and the Danish Refugee Council. 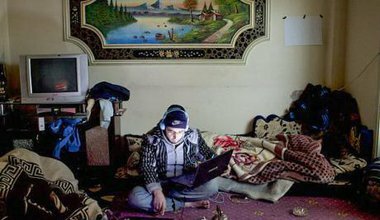 Militarised spyware has played a crucial role in the Assad regime's offensive against the Syrian opposition. But further risk remains as Syrians' data has been swept up in the global surveillance dragnet.